Key Club Week gives you the opportunity to show your community what Key Club is truly about: service. 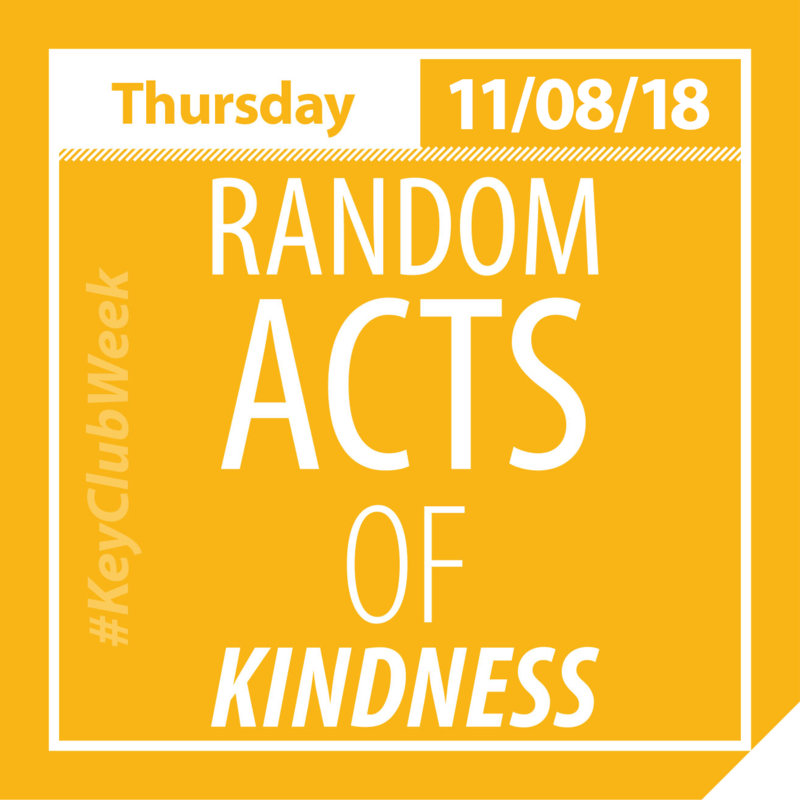 Each day places an emphasis on service, to promote Key Club within our homes, schools, and communities and to make Key Club a household name. MONDAY, NOVEMBER 5TH Show your K!! Show people what Key Club is all about! 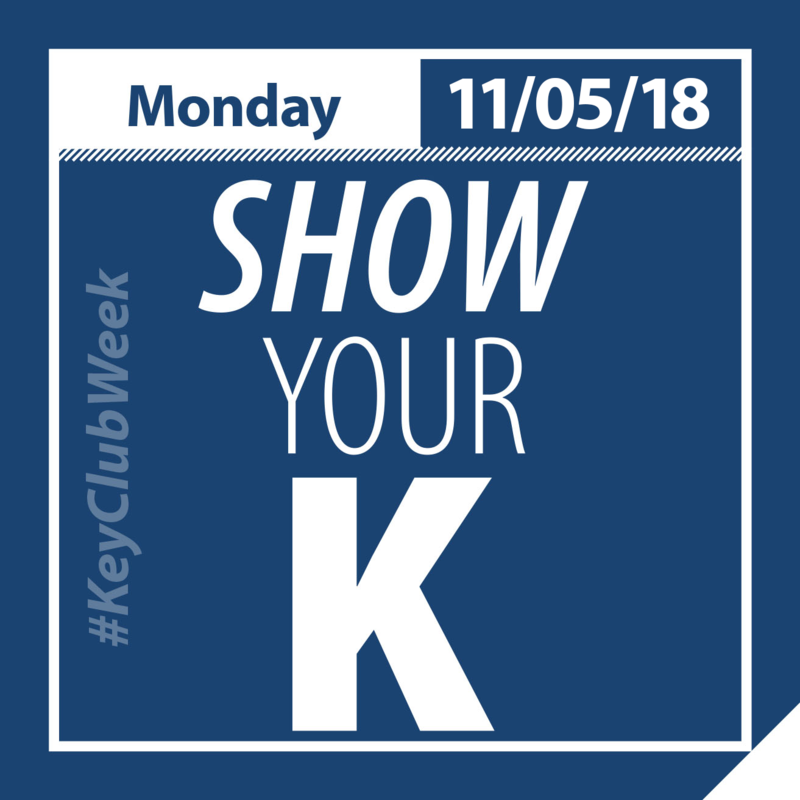 Spread the word by wearing Key Club gear and publicizing Key Club Week in local stores, your school Web site, community newspapers—even on the radio. TUESDAY, NOVEMBER 6TH Kudos to the key players!! 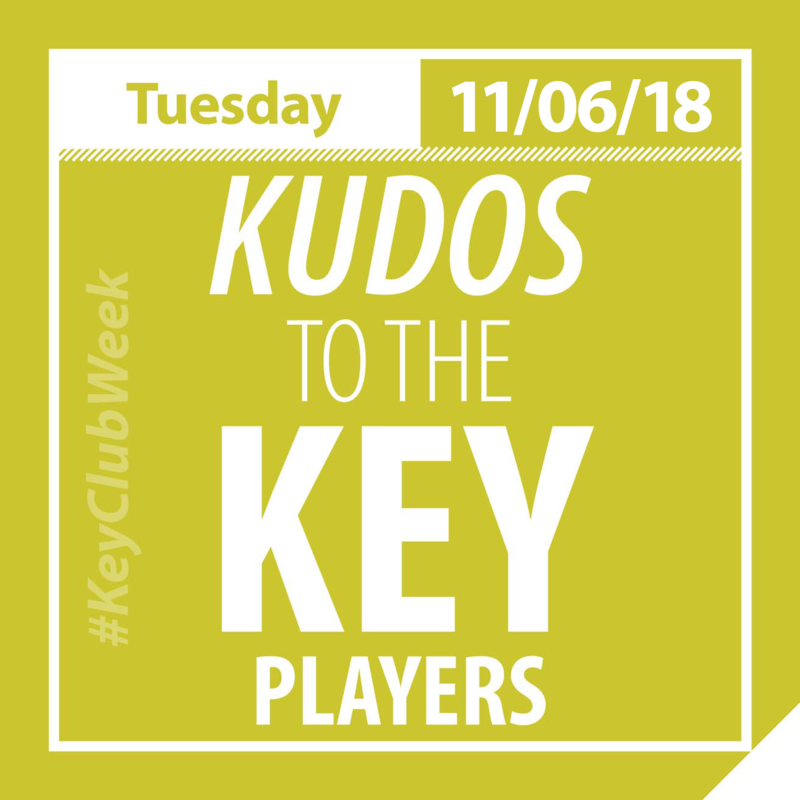 Personally thank all the Key Club supporters you know—teachers, advisors and other Key players. Write thank-you notes, host an appreciation dinner or do something uniquely your own style to recognize the contributions of these special people. 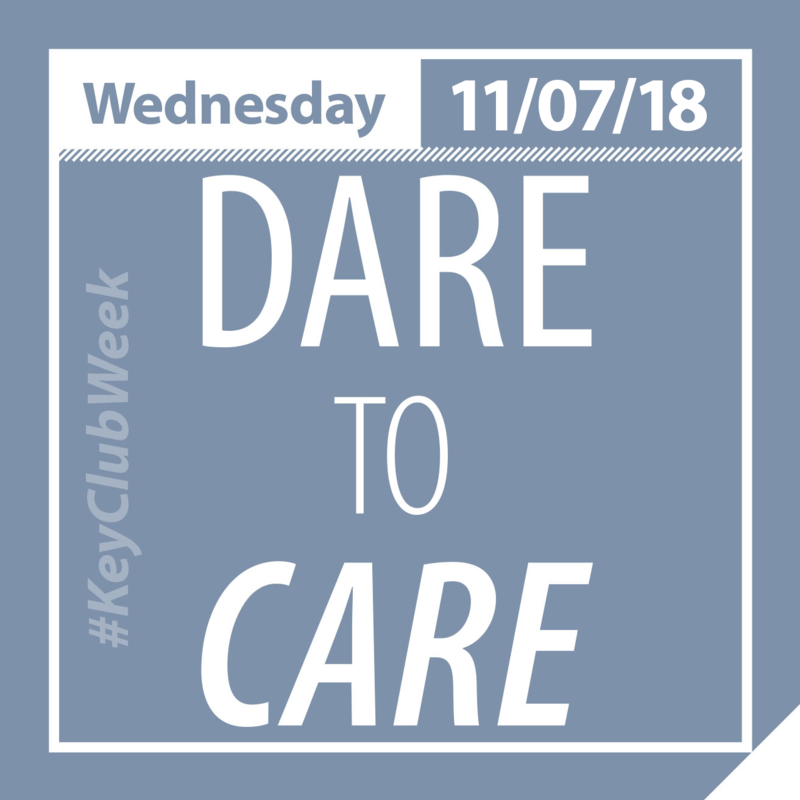 WEDNESDAY, NOVEMBER 7TH Dare to Care!! Key Club has three preferred charities—UNICEF, March of Dimes and Children’s Miracle Network. Take time to focus on service projects that help support these causes such as making non-slip socks or capes for your local CMN hospital. THURSDAY, NOVEMBER 8TH Random acts of Kindness!! A smile goes a long way. Spread happiness throughout your school by doing little random acts of kindness such as leaving cards with inspirational messages on every student’s locker or just simply holding the door for someone else. Challenge every member to complete at least one random act of kindness. 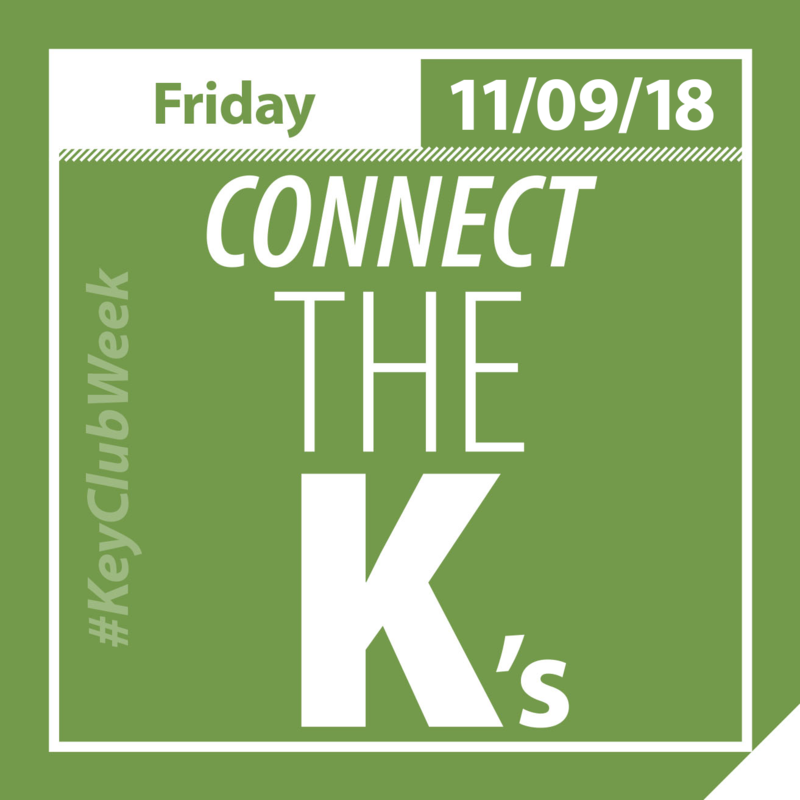 FRIDAY, NOVEMBER 9TH Connect the K's!! Key Club is the largest high school service organization in the world and is a member of the Kiwanis family. Celebrate the entire family of Kiwanis by getting the whole gang involved. Connect with local Kiwanis, Circle K International, Builders, Kiwanis Kids or Aktion clubs and team up for a joint service project.